The Poodle is a very old breed with carving found on tomb walls dating back to 30 AD. They have been found on coins from Greece & The Roman Empire. 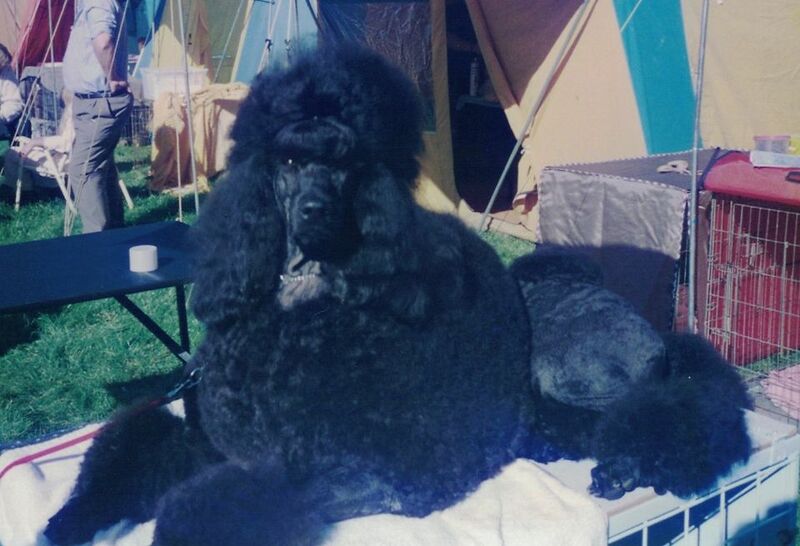 The Standard Poodle is the largest of the 3 varieties of Poodles. The Standard who is 15" and over at the shoulder. The Miniature from 11" to 15" at the shoulder. The Toy up to 11" at the shoulder. Poodles are very versatile and can be used for Obedience, Tracking, Agility, Retrieving & Flushing out game, Hunting & Field Trials, Circus Performers, Sled Pulling, Search & Rescue, Herding, Flyball, Therapy, Duck Diving, Breed Show dogs, Guide dogs for both deaf or blind. They were used in World War 2 as Guard Dogs. As there German name is Pudel which means splasing in water they absolutely love water. The Poodle coat is wool as opposed to hair and needs regular grooming. 6 weekly grooms are neccesary to maintain a healthy coat. Show dogs take a lot more attention obviously. As you can see from the wide range of talents Poodles have they are highly intelligent and require an active lifesyle with plenty of stimulation. They love human company and are happiest when they are part of the family. Outings in the car or walking places are what they enjoy immensely. If your choice of dog is a Standard Poodle I hope this helps you understand this wonderful breed and when you decide to purchase a Standard you will have many enjoyable years with him or her. It is important to find a puppy or an older dog from a reputable breeder or you may be totaly disappionted.